In a short sale, the bank agrees to accept an amount less than the full balance of the loan in consideration of a borrower’s economic or financial hardship. This process is accomplished by negotiating with the bank to discount the loan balance, finding a willing buyer to purchase the property, and obtaining the bank’s approval for the proposed sale. The home owner/debtor sells the mortgaged property for less than the outstanding balance of the loan, and turns over the proceeds of the sale to the lender, sometimes (but not always) in full satisfaction of the debt. Currently, many major banks are requiring homeowners, as a condition of the short sale, to sign promissory notes for any deficiencies, thus circumventing the purpose of a Short Sale. Often a bank will allow a short sale if they believe that it will result in a smaller financial loss than foreclosing as there are carrying costs that are associated with a foreclosure. The advantages for the home owner include avoidance of a foreclosure on their credit history and partial control of the monetary deficiency. 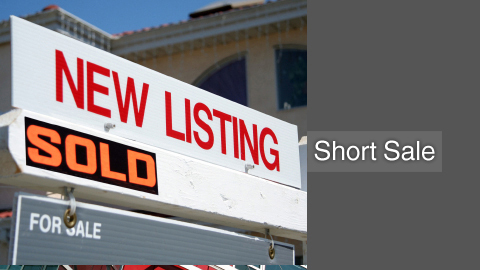 A short sale is typically faster and less expensive than a foreclosure. To get started with your Short Sale and for a free and confidential consultation, please contact our office toll free or via email to speak with a Short Sale attorney in Beverly Hills.